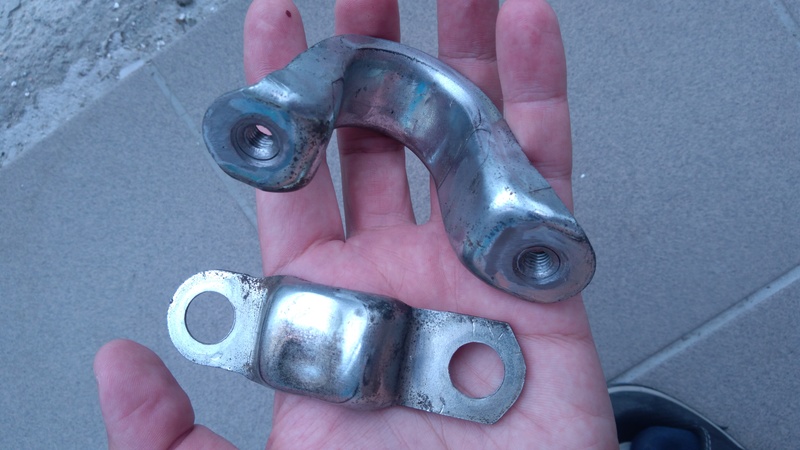 Has anyone replaced their wishbone / lower control arm bushes? I can’t seem to find the parts, does the entire control arm need replacing? Here is a video of my current issues, I asume it’s worn bushes? 1.9 sport. The whole arm needs replacing. You should ideally do both sides as well. From Fiat in May 2014 they cost £174 inc VAT each. http://shop4parts.co.uk are selling these arms today at £46.20 each. Thanks very much for the pointers, I looked around and could only find the whole arms so this makes sense I really appreciate your help confirming this. Common sense will tell you that if things are worn/split & deteriorating as you point out, new items are tht answer & of course replace in pairs. I replaced those bushings, I woudent do it again. You can find complete new ones with bushings installed for as low as around 60€. Check out retailers as autodoc for example. The original bushes and ball-joint are TRW. I've replaced mine with TRW parts and they were good for about 5 years. You can find them separately sold by TRW, and for about 50gbp you'll have good as new control arms, if you don't mind doing a bit of work. In reality only the back bush goes bad....and maybe the ball joint. Of course, get all the parts so you can have them at hand when doing the job.. also have some paint.. and sand paper+wire brushes... as you're removing them.. there's no better time to paint them, fight back the rust. Last edited by aurick86; 09-11-2018 at 07:55. Thanks aurick86 - really good info. 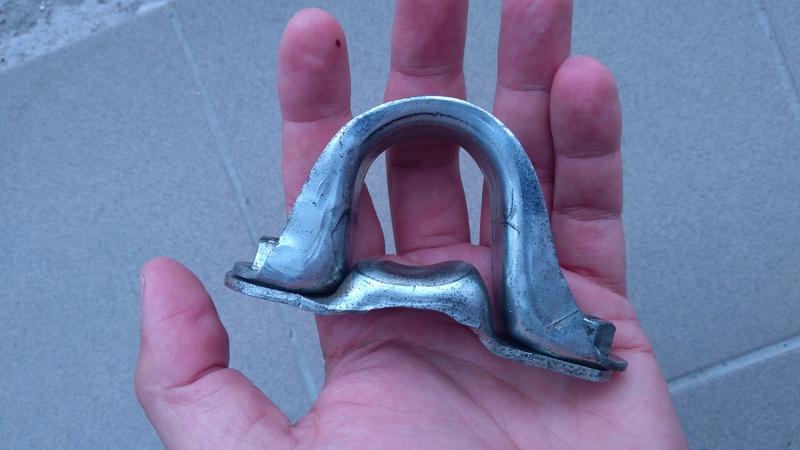 I’m probably inclined to replace the entire wishbone, I’m only a simple DIY mechanic but it looks easy enough. 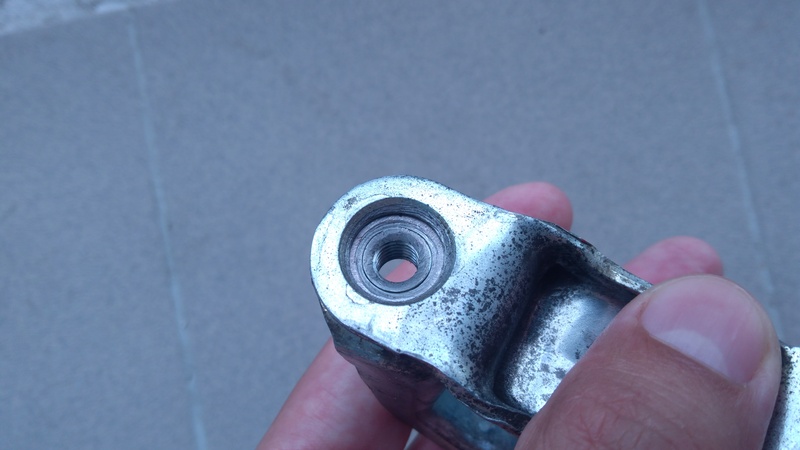 How easy is it to reattach the ball joint? Is the whole job doable jacked up on axle stands? Does anyone have experience replacing anti roll bar bushes? There are also these listed for same vehicle that look indentical but they also have other listed as fitting that look different. Replacing the ARB bushes is more involved that replacing the LCA (or LCA bushes). There is a strap that i think is spot welded in place... you'll need to use a cold chisel to get it out (i might be wrong). For the ARB bushes you need to get the right bushes for the right diameter bar.. there are quite a few bars out there 17,19,21mm (there may be others). Measure the bar you have (use calipers) the search the web.. Fiat Stilo ones are the same... just make sure you get the right size. You can cut the old one out with a hack saw... and getting the new one in sin't that difficult especially if you have access to a wise.... or even easier if you can rent/borrow a bush/bearing puller. If you want to buy the whole LCA.. get some from a recognized good quality brand(TRW, Lemforder, SWAG, etc) . No point in installing crap. Last edited by aurick86; 09-11-2018 at 11:20. Thank you so much for the advice it’s great thanks. I forgot about the Stilo, I have been browsing those forums just, lots of info over too thanks. Is it possible to do each side bush of the ARB at a time with removing it completely? 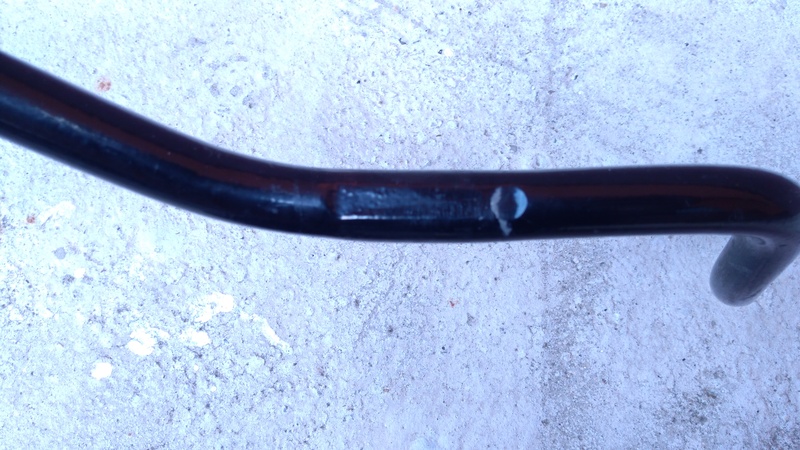 Is the spot weld under each bolt hole of the mount holding the bush onto the bar as in this photo? It sounds difficult, may need to get some help but I asume once separated the mounting bolts hold it all back together? Last edited by MikeG20; 10-11-2018 at 09:15. Wow great advice and photos thanks. That’s a good thread thanks for sharing. Going to order the parts and crack on once I’m back on my feet! Great info and lots of DIY tips!!! I'm going to replace them (once I'll fully recoverd from a hospital procedure I had recently) then see how it sounds and handles before I take on the anti roll bar. I might do a video at the same time since I've learnt a lot about this suspension system as a whole whilst I've been housebound researching haha, it might be useful for others since the Bravos are now reaching that age these things are going to start needing replacement. This last video is a bit misleading.. that movement is pretty much normal even with new bushes. It's in the design of the bushes.. they have a lot of give.